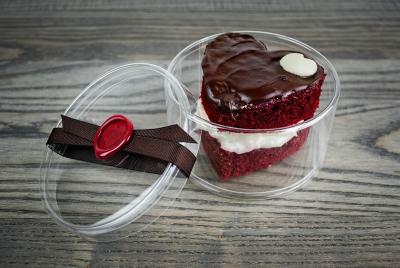 A red velvet heart cake with white chocolate and cream cheese buttercream, topped with dark chocolate. - Packaged in a clear container tied with a beautiful bow. - Available individually for pick-up or as part of our couture or custom dozen. - Please call in advance to ensure availability.